The Cult, building up to a grand return in May with new album Choice of Weapon, has strangely chosen YouTube video mixmaster Jim90290 to produce their latest video, a daring take on a demo for a song that eventually became a B-side in the ’80s. This video features band stalwarts Ian and Billy along with Pee-Wee Herman, Mr. Bean and Kid Rock in a fantastic sarcastic bombastic take on modern attitudes towards male sexuality. So, what I meant when I said I wasn’t crazy comes down to this row of houses in Toronto that I’ve been looking for since 2005. As best as I can recall, I was on an epic walk through our province’s capital during my vagabond period, and I hiked past this block of unusual homes with names like Ivy, Rose, Beech, Birch, Oak and Ash. I had it in my head that I had seen these houses down near Liberty Village, because that’s where I had wound up that day, but I forgot that I later worked my way back down King St. to Yonge, then up to Bloor, and then back down to Dundas, all over the course of several hours of blues-fuelled iPodery. Skip James, Elmore James, Howlin’ Wolf, Sonny Terry and Brownie McGee, Muddy Waters … that’s what I heard when I walked past those weird houses. In the years since, I have been asking Torontonians about them, and nobody knows what I’m talking about. Google Street View has been no help. So I started thinking that I had never actually seen them, that they were some kind of dream fragment or a bit from a long-forgotten short story from an Alfred Hitchcock digest found in a bus station in Saskatoon, which, if you know me, is entirely possible. They’re located northeast of Queen’s Park, and are worth looking at if you enjoy unusual row-home architecture, which I do. I suspect that if I had been listening to him on that day in 2005, I would not have wondered if the Rose Cottage was imaginary. I am totally like in favour of how the Americans now say pizza sauce is officially and legally a vegetable, because it means ketchup, mustard and relish are also vegetables, and this justifies my all-cheeseburger diet. Although I do cheat sometimes with a hot dog. In related news, I bought a bag of PC “Ballpark Hot Dog” potato chips in the discount bin at the grocery store and do not recommend them, because the name sort of lets you know what to expect, and they did not at all taste like anything except old all-dressed chips left over from like five years ago. In Mexico once, I bought lime and pepper Pringles, and that was almost as weird. I now challenge Republican presidential candidates to come up with something even better to classify as a vegetable, like cows or gasoline. No, not the Michael Douglas Secret Service movie. 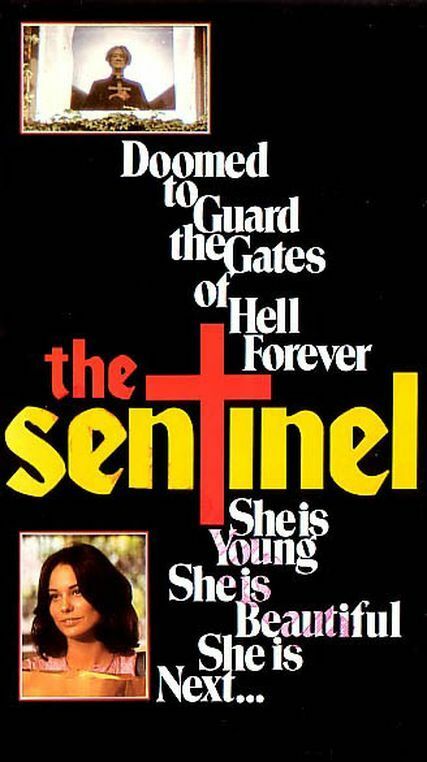 This is an underrated, unknown ’70s gem that you really have to see if you like devil-oriented scarefests. While the star, Christina Raines, is pretty much a “who is that?” actress, this movie is just packed with famous faces. Some were already legends: Martin Balsam, Jose Ferrer, John Carradine, Ava Gardner and Arthur Kennedy. Others were just starting out, so watch for young Christopher Walken, Jeff Goldblum, Jerry Orbach, a super-sleazy Michael Sarandon and, in my favourite moment, a very, very young Nana Visitor and Tom Berenger as newlyweds. Wait, I’m changing my favourite moment to that part with the young lesbian nutcase Beverly D’Angelo. She gets naked. Plot: A model rents a new apartment in Brooklyn. Upstairs, there’s a blind priest who sits in the window all day and all night. The other neighbours are very, very strange, including the little old man with the cat, who is not what he seems at all. The priest is there for a reason: he’s guarding the gateway. I love this movie, mostly because the book it’s based on is one of my favourite horror novels. Jeffrey Konvitz must have been more than pleased to see his story adapted so faithfully; I just wish The Guardian, his equally fantastic sequel novel (No, not the stupid Kevin Costner/Ashton Kutcher swimming movie), never made it to film. This stuff is as good as, or better than, The Exorcist and most other ’70s Satanica. Warning, though: The Sentinel uses people with actual physical deformities in one sequence, and this caused a stir of accusations of exploitation. If you’re sensitive that that kind of thing, you should probably watch some Twilight. Also, the poster is a spoiler. Have you ever wanted to punch a movie in the face? I did once. I paid money to see Van Helsing in the cinema. With a few of my kids, I recall, because it was marketed as a Universal-style fun horror action flick. The machine-gun crossbow was cool. Everything else made me wish iPhones had been invented so I could annoy the people behind me by browsing Reddit during the movie. Between Hugh Jackman’s stupid accent and Kate Beckinsale’s stupider accent and the weird attempt to create a medieval Q, this effort at launching a new action franchise failed harder than your BlackBerry yesterday when you wanted to tell your boss you were running late, and don’t start the meeting until you arrive. Of course, you all know how stupid I am. I bought this on DVD the other day for two bucks, hoping it would improve with age, then got home and discovered it’s on Netflix Canada. And then I watched it again, and I am as think as you stupid I am. This is the movie that makes Hugh Jackman say “How about watching Kate and Leopold instead?” when friends come over. There’s a reason we never went back to the moon. It begins with a secret Department of Defence mission to the moon, an undocumented effort to install spy cameras to guard against Soviet incursions. Three NASA astronauts take off in secret as part of Apollo 18, which officially never existed, and two of them descend to the lunar surface to carry out their mission while the third orbits, waiting. Their families don’t know they’re there. The public thinks the Apollo program is finished. Only a select few military and NASA specialists on the ground know three Americans are in space. On Day 1, they set up their cameras and collect samples. On Day 2, they find a footprint that isn’t one of their own. And then they find something else. On Day 3, they wake up to find their flag missing. And they know they aren’t alone. I was hoping to love this but expecting to be disappointed. The result was right in the middle. It’s a found footage flick, like Paranormal Activity or Cannibal Holocaust, but it works fine, because that format functions best in enclosed environments. And it makes sense that old footage of the mission would be revealed decades later, so you can buy into the premise. It even looks like ’70s stock. 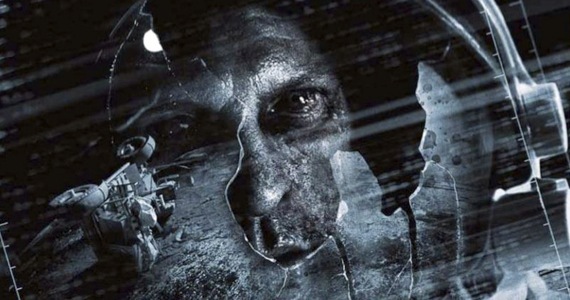 The actors, all familiar-looking macho guys whose names don’t matter, are convincing as trapped, scared heroes used to being able to deal with whatever’s out there … until whatever’s out there wakes them up by shaking their lander as they sleep. You probably have to be a genre fan to like this. It has very little mainstream appeal and could be a challenging watch for popcorners. And I suspect I’ll have to watch it again in a year or two to remind myself of it. But it succeeded on the most important front: for a while, especially in the first half hour, I forgot it came from someone’s imagination. The only flaw, to me, is the threat itself, but that’s a minor quibble. This is a decent little space thriller with some real chills and plenty of the kind of space conspiracy crap I like reading about, even if I can’t even begin to buy into it. A secret lost lunar mission? Come on. Everyone knows Steve Austin was the last man to walk on the moon.